Symon Silvester runs his own business, SAS EPC Limited, which is based in Tewkesbury, Gloucestershire. Symon is a qualified Energy Assessor for both Commercial and Domestic properties. He has been involved in the Energy Sector since 2007 and in providing assessments on properties for the best part of ten years. As well as being committed to providing a professional and quality service, Symon has written numerous articles for the industry and was at the fore front of providing information when the Commercial Energy Performance Certificate was launched. When writing articles, he always aims to make the article accessible and, if possible, entertaining for both those inside the industry and those from outside who are just looking for the right advice or general information. Outside of business Symon enjoys reading, writing, cooking and, for his pains, being a life-long supporter of Crystal Palace Football Club. 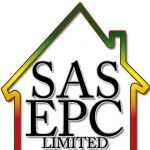 For more information on SASEPC please visit our website www.sasepc.co.uk or call on 01684 299155. By I’m dreaming of an Environmentally Friendly Christmas…. By Measuring Success – EPC Recommendations Explained.